Is this a dead horse or closure? 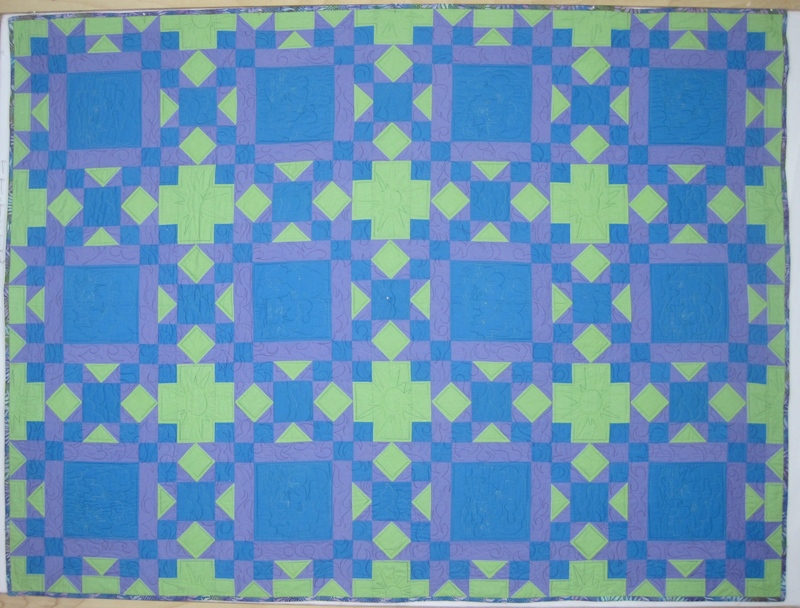 This is the final post about the quilts I finished during December and the early weeks of January. 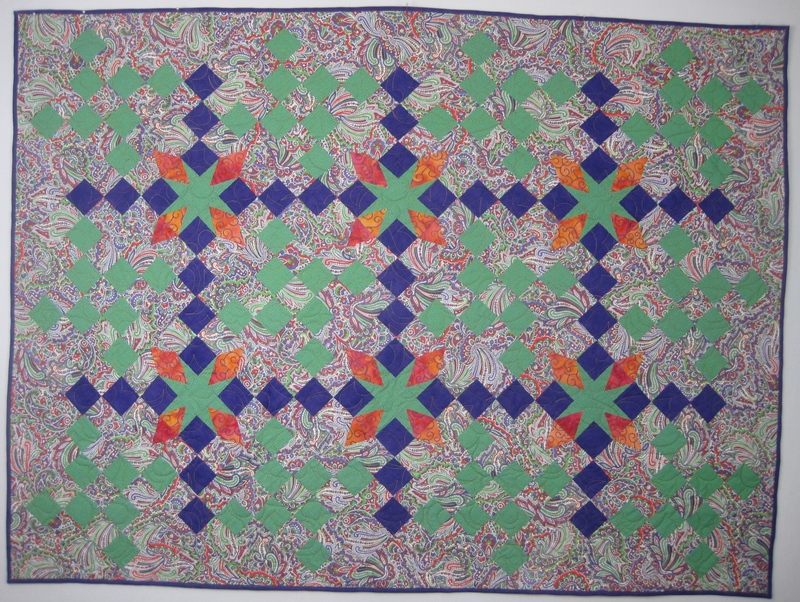 I quilted the following six Mystery quilts. Almost Amish is 60 inches by 79 inches. Oopsie Daisy is 78 inches by 66 inches. 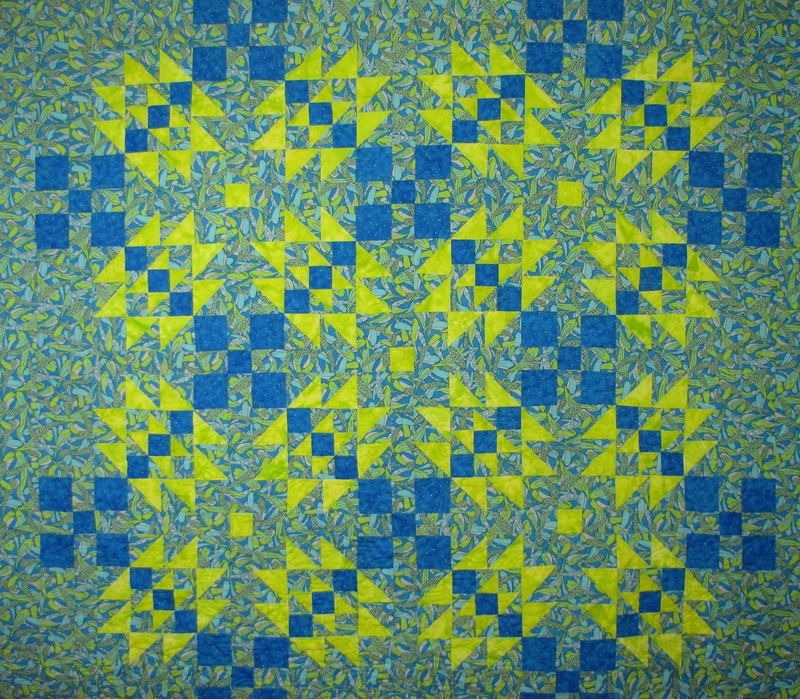 Blue Grid is 78 inches by 66 inches. Surf’s Up is 74 inches by 62 inches. Shanghai is 69 inches by 54 inches. Purple People Eater is 51 inches by 68 inches. 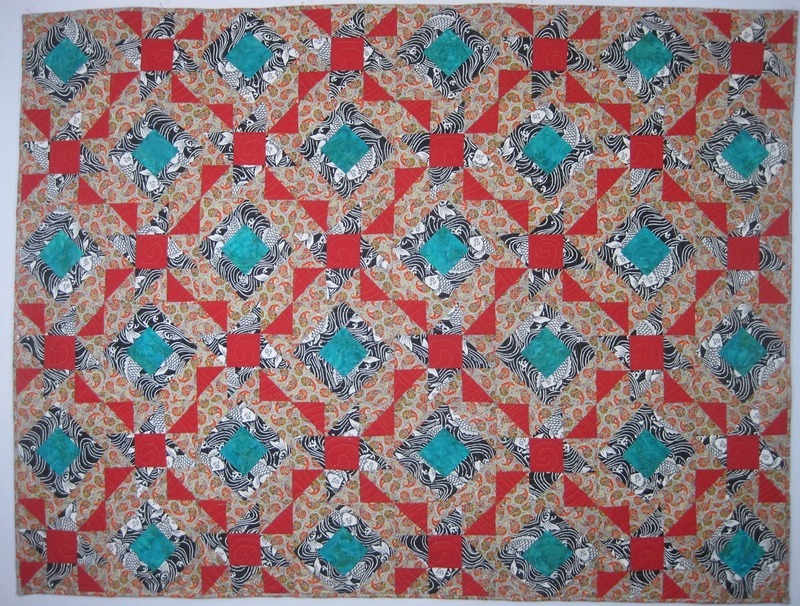 And then I finished four other random quilt tops. Coloratura is 55 inches by 64 inches. 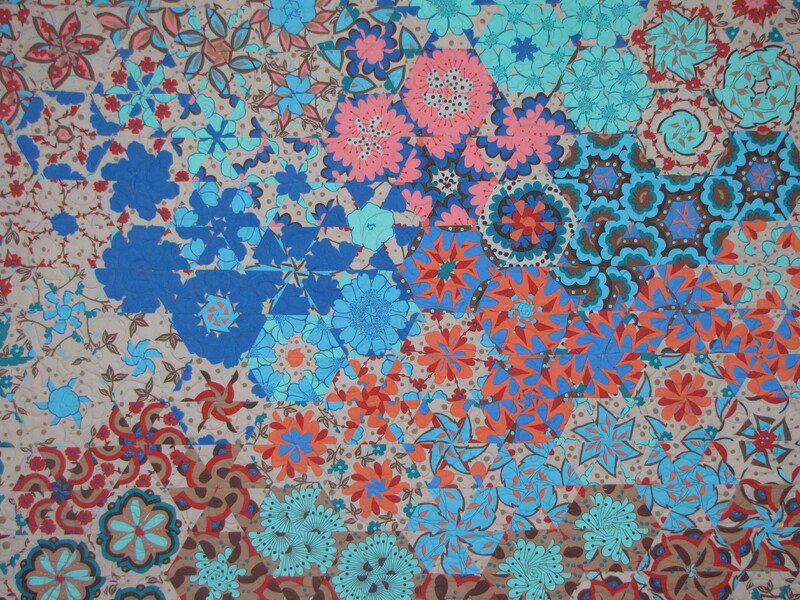 Blooming One Block is 63 inches by 77 inches. 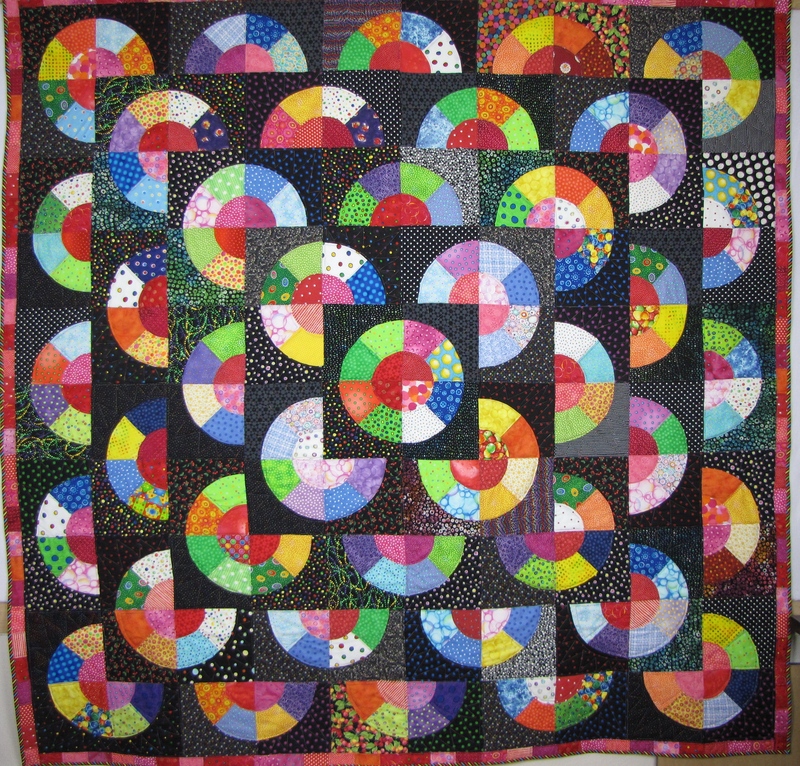 Sew Many Circles is 80 inches by 78 inches. Dancing Stars is 65 inches by 71 inches. The plan now is to convince my family to participate in a Chinese style auction. The youngest niece gets to pick first. The next youngest family member can steal that quilt or select another one until they have all been chosen. I have three sisters, so I really have no idea how this “game” is going to play out. A cat fight or a series of cordial compromises? 04 Feb	This entry was published on February 4, 2015 at 6:36 PM. 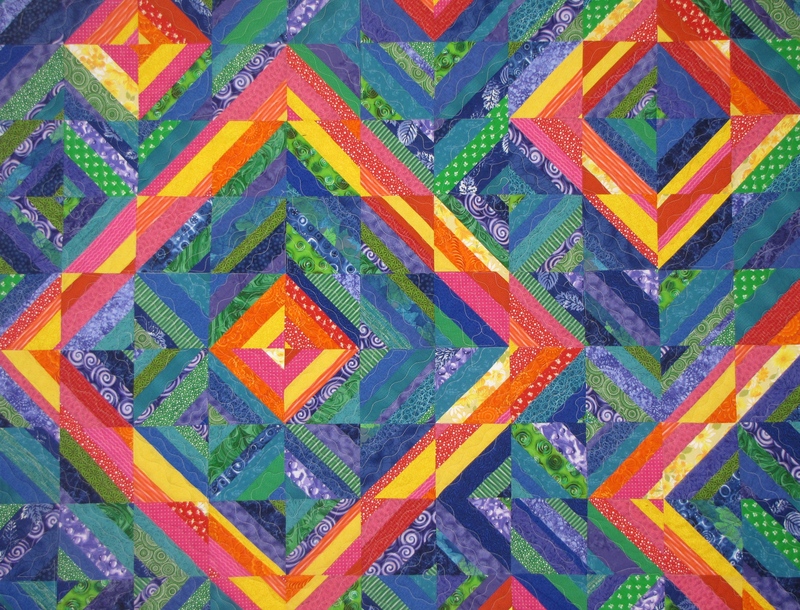 It’s filed under Quilt Stories and tagged Mystery Quilts, The Great Alaska Quilt Out 2014. Bookmark the permalink. Follow any comments here with the RSS feed for this post. 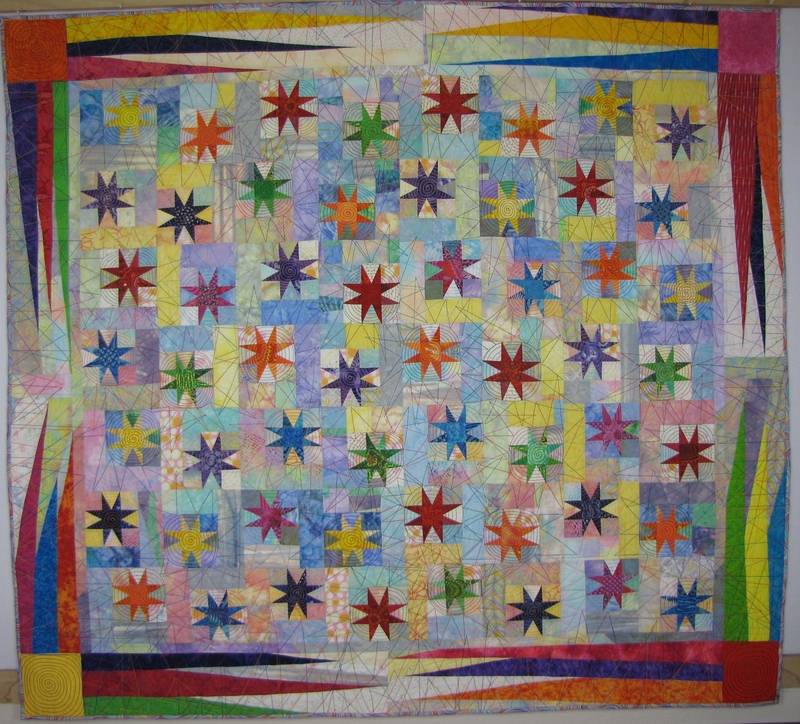 Maybe they can each will the quilt to the one who wants it from them, or sells it to the highest bidder. Chinese auctions can be testy, especially among relatives. 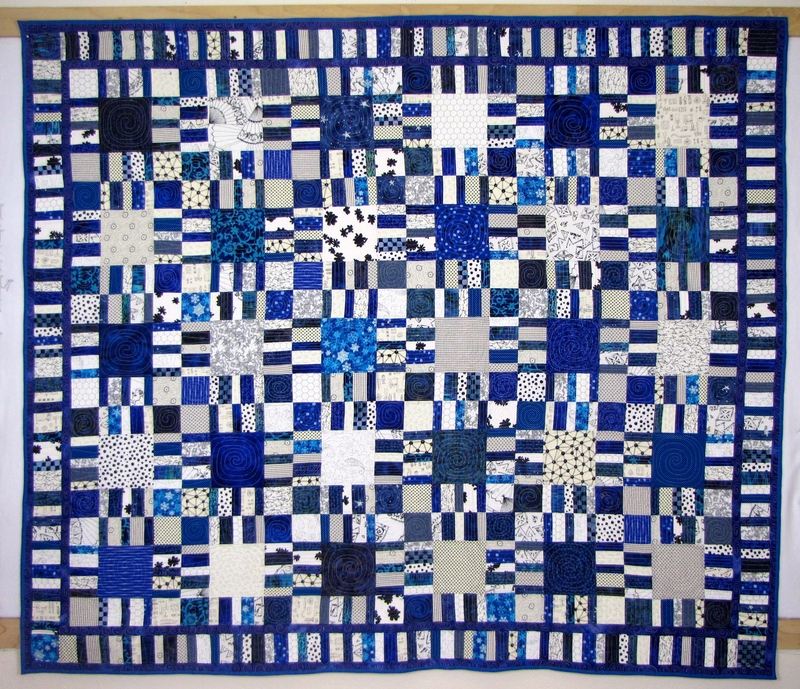 Younguns will be in tears if their quilt is stolen from them. How about drawing straws? and the negotiating can be secret behind doors. Then no one is happy, just warm. Carole- The original idea was to do this over Christmas. We live apart, so my hope was to have an interactive activity to create a way of being together. And I love the drama of a Chinese auction. I imagine the nieces will make the decisions, and everyone else will go along. I think it will be fine, but I appreciate your plan B ideas! Hi Maria… You are one amazing Aunt and what fun the girls should have with your Auction (good advice in the post above). 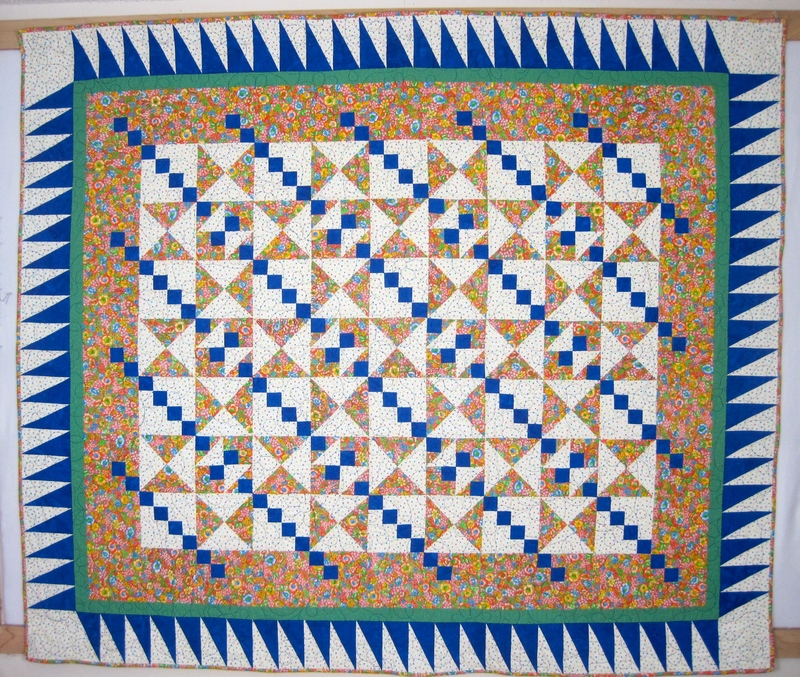 Love the quilts and your are truly a lesson in commitment and inspired finishing tenacity! Blooming One Block is drop dead gorgeous… they all are. Thanks for sharing where you got a start and now we know what motivates your new work. Thank you Bethany! Looking back at my early traditional work really does give you the big picture. It also makes me realize that no matter where we start, we can grow–it is all about the starting. I always enjoy your comments! Thank you. Eleanor had a hard time choosing but decided on Blooming one Block. That’s a great choice Truman!